Combination Deal - Combine More, Save More on Tickets! Home » Tourist Tips » Amsterdam Discount Cards & City Passes 2019 » Combination Deal – Save More on Tickets! ‘Combination Deals’ is another way to save money on entrance fees of museum and attractions in Amsterdam. 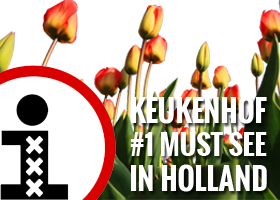 Discounted tickets for the major museums (the Rijksmuseum, Van Gogh Museum and Stedelijk Museum) are available, as well as other top attractions like the Heineken Experience and Canal Tours. ‘Combination deals’ is not a free entry card or discount pass you can buy. You can buy a special combination ticket for two or more Amsterdam Museums & Attrcations to save money. A list with popular super saving Combination Deals you can you on this. You can buy the attraction & museum tickets online and print them at home or at your hotel / hostel of your stay in Amsterdam. You will receive an e-mail with the tickets of your choice.